Turkey´s Prime Minister Recep Tayyip Erdogan has expressed his gratitude to his Slovak counterpart Robert Fico for Slovekia´s support for Turkey´s EU membership. In December 2012, construction output decreased, year-on-year, by 16,5 % to EUR 416,9 million. After seasonal adjustment, it was higher by 0,7 % compared with November 2012. In December 2012, industrial production index (IPI) decreased after a long-term year-on-year growth (since November 2009). In November 2012, compared with November 2011, the total export of goods increased by 9,2 % to € 5 842,7m and the total import by 5,5 % to € 5 527m. According to the outgoing Czech President, the separation of the eurozone would be cheaper than maintaining the currency union. 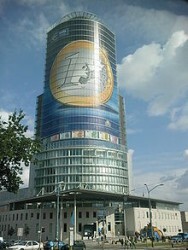 According to a survey carried out by OeKB (Austrian Clearing Bank), investors in the CESEE region are more optimistic. 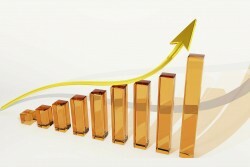 For the first time since 2008, property prices were up in the fourth quarter of 2012. 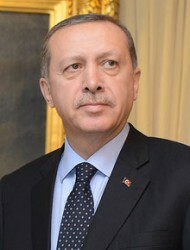 On the occasion of Prime Minister Erdogan´s visit in Prague, his Czech counterpart Necas assured to support Turkey´s candidacy. Hard data point to a weakening of activity in the fourth quarter, but an improvement in the assessment of production expectations in industry indicates an improved outlook for 2013. The downturn in employment and weak wage developments are putting downward pressure on sales and indicate that the slump in household final consumption will continue. This year, Slovakia´s government expects lower growth rates than in 2012. Besides that, the austerity pressure is growing. The economic crisis in the Eurozone has hit the CESEE countries particularly hard, EBRD reports. 2013 will be a better year. 20 years of diplomatic relations between Austria and Slovakia. Regarding the Austrian banking sector, governor of OeNB (Austrian Central Bank) Ewald Nowotny demonstrates cautious optimism. Results of business survey and economic sentiment indicator in January 2013. In January 2013, Národná banka Slovenska (NBS) revised the NBS Medium-Term Forecast published in December 2012 (MTF-2012Q4). Prices in production area in December 2012 down by 0.4%. In 2011, goods in the amount of € 56 783,2m were exported from the Slovak Republic. 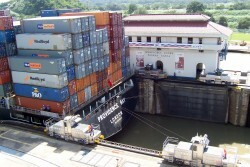 Compared with 2010, the total export increased by 17,6 %. For the first time since 2000, Slovakia´s public debt level exceeds the 50% threshold. In December, the unemployment quota came at 14.45%. Compared to December 2011, this is an increase by 0.9 percentage points. In the next three years, economic growth rates in central, eastern and southeastern Europe will return to the pre-crisis level, IMF says. Slovak Minister of Economics Tomas Malatinsky underlines that the country must improve its attractiveness for businesses. 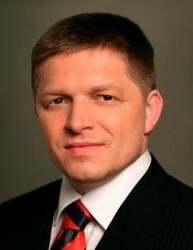 Slovakia´s Prime Minister Robert Fico thinks that the austerity policy in Europe is the wrong way. In the Euro area, the production in construction was down by 0.4%. After a meeting between Slovak Prime Minister Robert Fico and President of Austria´s National Council Barbara Prammer, both emphasized their willingness to realize more common projects in future. According to the U.S. rating agency, the situation of Austrian banks strongly depends on the development in central, east and southeast Europe. 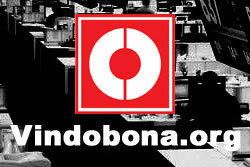 In December 2012, a year-on-year inflation reached a value of 3,2 %, in total, core inflation 3 % and net inflation 2,3 %. Industrial production index (IPI) increased by 5,2 % in November 2012, compared with November 2011. Today, the Slovak Statistical Office has published the turnover figures in selected sectors of economy in November 2012. In November 2012, compared with November 2011, the average nominal monthly wage increased in most surveyed sectors. In November 2012, compared with November 2011, the employment increased relatively most in selected market services by 11,2 %. In November 2012, construction output decreased, year-on-year, by 13,4 % to EUR 479 million. After seasonal adjustment, it was lower by 0,4 % compared with October 2012. According to the U.S. rating agency, the deficit reduction plan may be too ambitious. 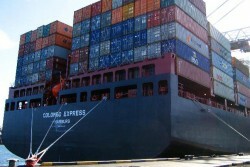 In the first eleven months of 2012, exports increased by 11%. Imports were up by 6.4%. Regarding the poverty rate, Bulgaria, Romania, Spain, Greece and Lithuania are significantly above the EU average. The Development in November 2012 compared with October 2012 was negative. In the first eleven months, the turnover figures showed moderate growth rates on average. The European research institute Euroconstruct expects a negative development for the construction industry in the CESEE region. On the occasion of his traditional New Year´s speech, Slovakia´s President Ivan Gasparovic underlines that the country is able to manage the crisis. According to an analysis issued by Austrian Erste Group, every fourth car produced in the EU in 2013 will be "Made in CEE". The results of business survey and economic sentiment indicator for Slovakia were negative in December 2012. This year, the Slovak budget deficit is expected to be significantly beyond the Maastricht criteria. In terms of asset quality the banking sector trends in CEE remain a mixed bag, Raiffeisen Research says. October 2012 compared with September 2012: Euro area production in construction down by 1.6%. Unlike the Czech Republic, Poland and Hungary still have some downward potential. The inflation rate is still below the base rate. In the third quarter of 2012, Slovakia's GDP at constant prices increased quarter-on-quarter by 0.6% (seasonally adjusted) and in year-on-year terms by 2.1% (seasonally unadjusted), according to SO SR data. From October 2011 to October 2012, Industrial production down by 1.4% in euro area. The Slovak President Ivan Gasparovic was officially received by his Czech counterpart Vaclav Klaus.